Where there is a need for an ongoing waste management solution or a once off site cleanup. 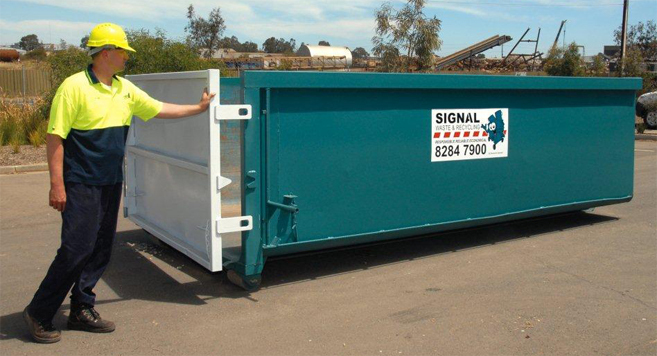 Signal can design a roll on roll off service to suit all types of industry and business. The roll on roll off bin is available for most industrial, commercial and household waste and recyclables. It is best suited for high volume or bulky items.